makanmaniacs.com - It's all about food! : Fantastic September at 883 Steamboat! Fantastic September at 883 Steamboat! 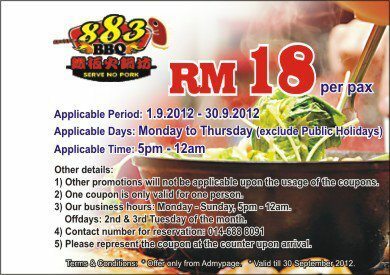 Are you a big fan of BBQ Steamboat? Do not miss this special offer! You can now get the coupons from 883 BBQ Steamboat! Grab it before it lasts!